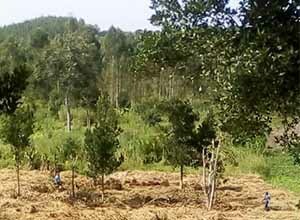 A model farm organized and managed by the youth. 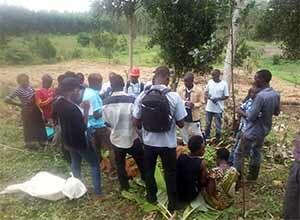 Forty-eight members of YEH Uganda have started a model farm together since September 2017 by renting a piece of land in Tumbaali-Lwemwedde Parish. Most of them are from the families of poor farmers. It is very difficult for them to get a job in the cities, yet “a famer” is not a hopeful future option due to the low income. 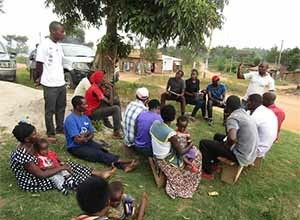 In order to change this negative view about farming, YEH members made a plan for themselves to run a model farm to acquire various knowledge and skills of agriculture so that they can become successful, self-reliant farmers. This project offers several lectures and trainings to YEH members under the supervision of agricultural consultants. Trainees are expected to gain various knowledge and skills covering cultivation of new varieties, effective use of fertilizers and pesticides, product sales, and management of income and expenditure. 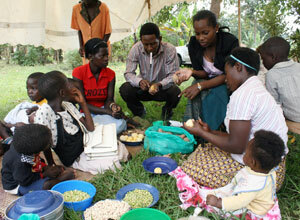 They also apply what they learn to manage their model farm to acquire practical skills. 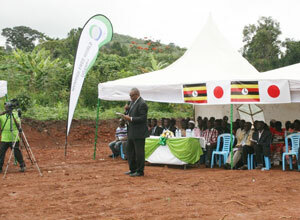 The project aims to enable them to gain enough income to support themselves as independent farmers by 2020. As well as the above-mentioned members from our four target parishes, four YEH members from another parish and the cooperative chairmen of the target parishes are involved in the project. They were selected as facilitators to bring their learnings to their people, not just enjoying the benefit of the project only for themselves. Their role is to contribute to the improvement of agricultural income of their regions by transferring acquired knowledge and know-hows to the local farmers. Increase of agricultural income leads to the increase of youths involved in farming, hence the alleviation of youth unemployment rate. More population engaged in food production also means more stable food supply, which can improve nutritional status of the people. “The Right to Food” in the whole region is realized by the positive cycle of producing sufficient food by themselves and purchasing more food with increased income. Uganda has experienced relatively high population growth compared to other African countries. 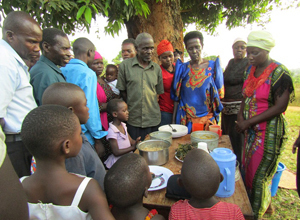 Our target region of Wakiso District consists of over 25% of young people ranging between 18 and 30 years old (* 1). However, difficulty of living on agricultural income alone has caused constant decrease of young farmers. This situation together with limited job opportunities for young people in urban areas results in high youth unemployment rate of 9.4% (*2). Youth employment is a common issue throughout Africa. In the 6th Tokyo International Conference on African Development (TICAD VI) held on August 2016, African leaders shared the importance of job creation through investing in the trainings for the youth. HFW considers special importance of agricultural support directly connected to “the Right to Food. *1 Based on the 2nd five-year development plan of Wakiso District 2015/16-2019/20. *2 Based on the national census of Uganda 2012-2013.